Courtesy of Fort Point Beer Co.
Of course, getting your growler filled in San Francisco doesn’t come without some ABC rules and regulations. The biggest one is that places can only fill outside growlers that are 32oz, 64oz, 1L, or 2L, have the size clearly stated, and don’t show names, logos, or addresses of other breweries. In most cases, if you just cover the logo, the brewery will still fill it. Pro tip: blue paint tape is the way to go here, as it won’t damage the graphics. Also, this should go without saying, but your empty growler must be clean, or no one’s going to fill it. This isn’t a soap situation in most cases; rather, as soon as it’s empty, you want to rinse it three times with very hot water until there’s no foamy water coming out. Then let it air dry. But there’s nothing sadder than an empty growler, so once it’s all clean and shiny and there are no labels showing, you should definitely go and immediately fill yours up at one of these SF spots. The folks at Barrel Head will fill your growler up with any of their four house-brewed beers for $15-$18 (depending on which one you want, not what kind of a mood they’re in). 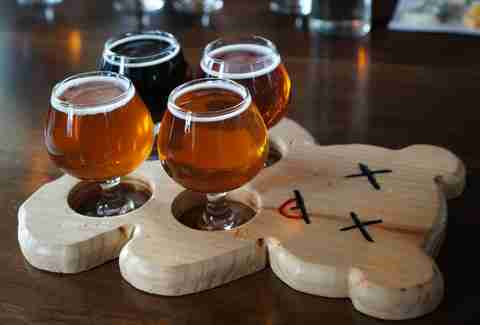 Try the $9 Flight du Jour to sample them all first, so you can make this very important decision fully informed. 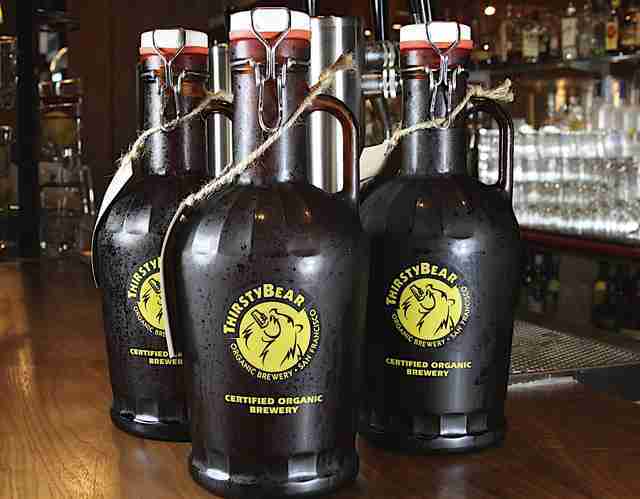 And if you don’t have your own growler, no worries: you can buy one there for $10. Cellarmaker Brewing Co. is all about producing small batches of experimental beer, most of which are hop-driven, without being overly bitter. There are typically eight beers on tap at any time, and while not all are available for growler fills, usually at least half of them are. 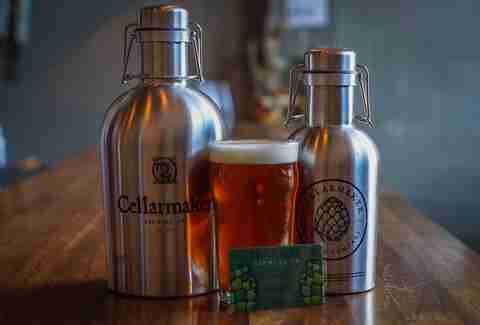 Cellermaker sells empty growlers ($8 for a glass growler and $20-$25 for a stainless steel one) and will fill 750ml, 32oz, 1L, 64oz, and 2L growlers, as long as their logos are covered. Stop by the small kiosk at the Ferry Building, and you can fill up your growler with beer that’s brewed in small batches right in the Presidio. Feel free to BYO-Growler, but if you don’t have one, you can pay $5 for a glass growler or $30 for a stainless steel, insulated one. They’re sold by deposit, so you can either keep the growler and keep refilling it or return it and get your money back. 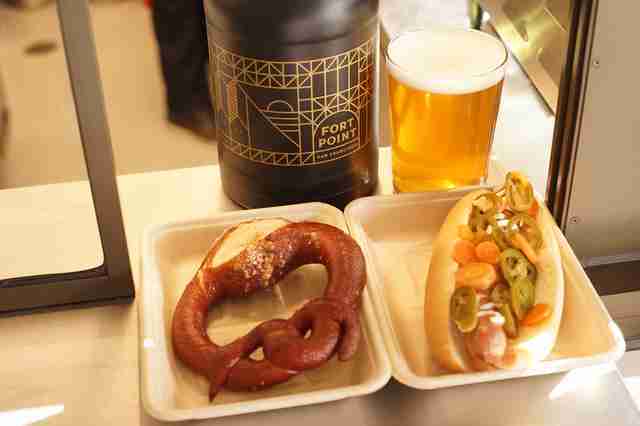 Oh, and the important stuff: there are six taps available, $10 for Fort Point’s year-round offerings (KSA, Park, Westfalia, Villager), and $12 for specialty, limited styles. 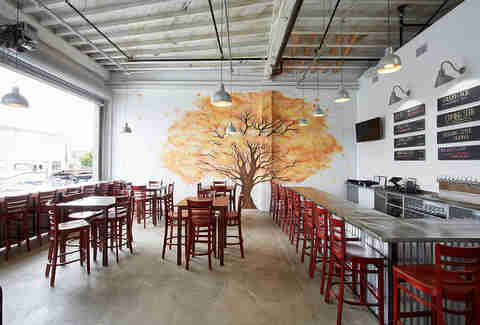 This small batch craft brewery just opened a tasting room in Bayview. Here, you can get growlers of the beer that blend traditions from California and Belgium, and utilize a mixture of local and seasonal ingredients. Plus, it’s affordable! They’ll fill a 32oz growler for $10-$15 and a 64oz growler for $18-$24. More into crowlers? Good news: those are on the way. 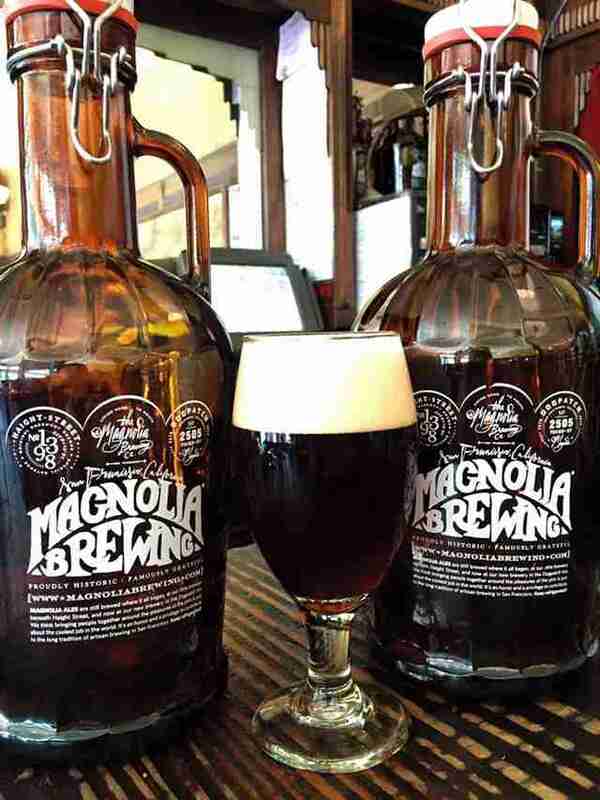 We love Magnolia beer so much that we’ll forgive them for only filling up Magnolia growlers. A 2L will cost you $30, $10 of which is a deposit if you want to return it -- plus, you can get refills for $17. Download the app to see what’s on tap and find out when new and rare beers are first available. Pro tip: stick around for one of the best burgers in the city. The Smokestack offers all the same beers and growler options, but comes with the added bonus of a full barbecue and smokehouse menu -- so grab some brisket or smoked duck while you’re there. Plus, this location also offers a full, serious cocktail program (the Funston’s Diamond involves pistachio-infused Portuguese brandy... yum). You’ll probably want to order the Sample Set (4oz of the eight house-made brews for $13) so that you can decide what you want to take home in your growler. If you’re looking to buy a new one, you can get a nice German-style there for $25 (that includes the beer), or bring your own and fill it for $15. 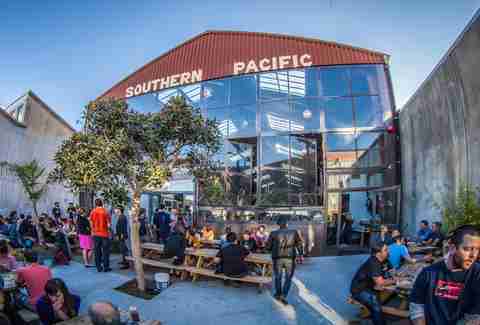 We love Southern Pacific Brewing because you can sit outside in the sun while sipping your beer, but maybe you have a backyard that’s even better for beer-sipping and sun-sitting, in which case you can get a 2L growler filled with one of the six house beers for the price of a pitcher ($11-$21). 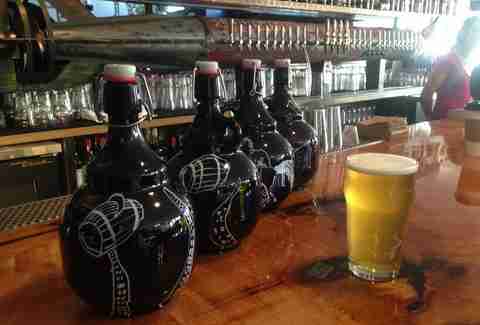 Only bummer: you’ll have to buy one of their growlers, which will set you back $7. 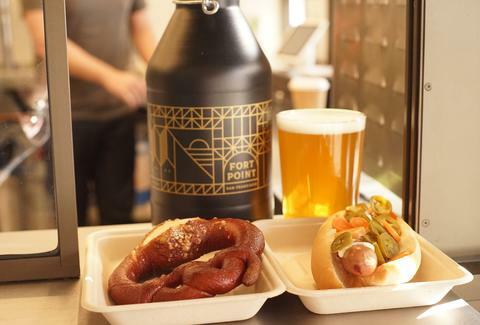 This microbrewery in the Outer Sunset is a great spot to enjoy handcrafted beers and tasty food... and it’s an even better spot to fill your growler. 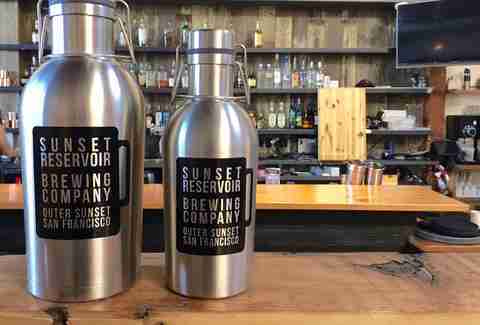 If you don’t have one, they sell one of the highest quality growlers available: it’s stainless steel, double walled, and thermal insulated. A 1L filled growler will cost you $40, and the 2L runs $60. If you have your own or want a refill, it’s $10 for the 1L and $20 for the 2L. FYI: If you want the Dry Irish Stout, you’ll have to enjoy it in-house... that one isn’t available to-go. The policy’s pretty strict at Speakeasy, but that’s just what you’ll have to deal with if you want to take home beer from one of their twelve rotating taps. Growlers must be 32oz or 64oz, and either have a Speakeasy logo or be uncovered and totally blank -- as in, you can’t just cover another brand’s logo with tape or stickers. No exceptions. 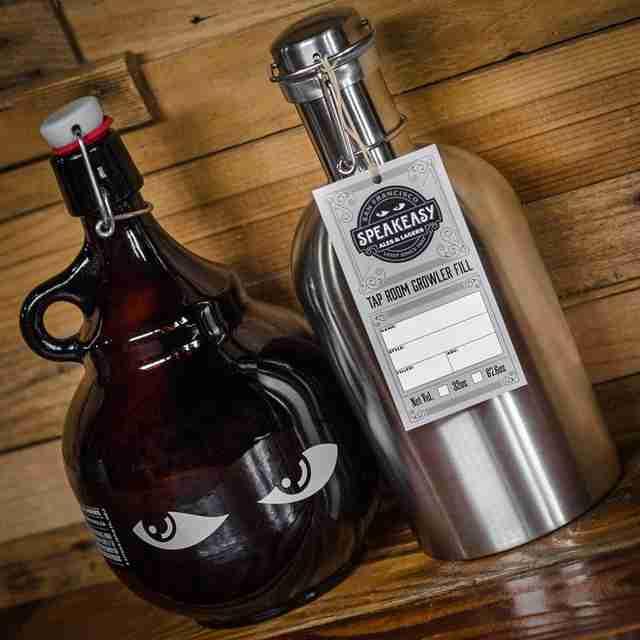 The Speakeasy-branded glass growler will run you $12 and fill ups range between $12 and $18. 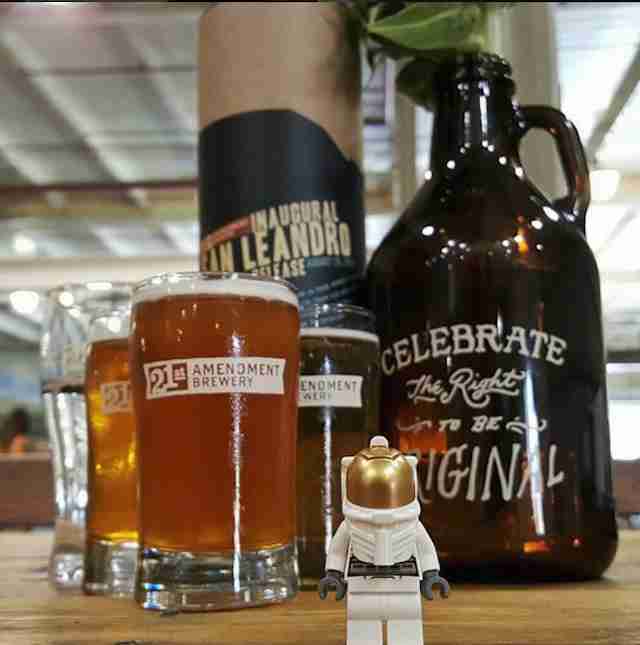 Go on a Thirsty Thursday though and you’ll get 20% off growler fills (which takes the sting off the labels situation). Triple Voodoo’s bartenders will fill 32oz and 64oz growlers that are either dark colored glass or stainless steel (and comply with all other ABC regulations, obvi), so head in to try and take home beers from their 16 rotating taps, including their signature IPAs and flagship Inception Belgian Triple. If you don’t own a growler, you can buy one of theirs for $8. Fills range between $11 and $13 for 32oz growlers and $18-$20 for 64oz growlers, depending on the style of beer. Daisy Barringer is an SF-based writer who was inspired to write this article when she won a growler in a Ro-Sham-Bo tournament. Her winning hand? Rock. Congratulate her on Twitter @daisy.